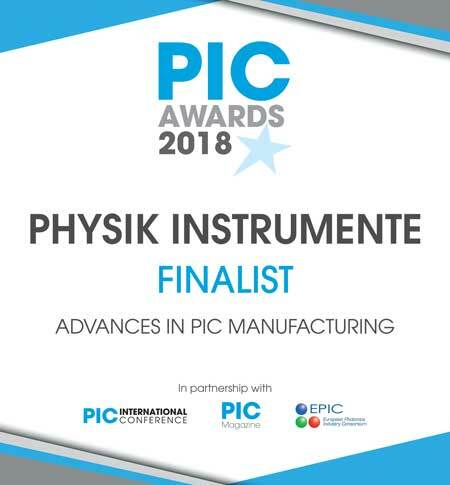 (Nanowerk News) PI has the multi award-winning solution for critical alignment speed and accuracy to a nanoscale level for projects from planar testing to packaging. Honored to be nominated a second year consecutive year, the FMPA Fast Multichannel Photonics Alignment system is a 2018 PIC Awards finalist, which rewards excellence, innovation, and success in the worldwide PIC industry. Voting is open until March 23rd, with the winners of this prestigious award announced on April 10th at the PIC International Conference in Brussels, Belgium. An R&D Top 100 Most Significant Products of the Year winner and Lightwave Innovation Reviews award winner, the FMPA was recently showcased at Photonics West 2018 in San Francisco.